Spring is here and it’s a great time to clean up your Windows system. Here’s a list of five computer maintenance tools that will help you save drive space and clean out old files you don’t need. You probably have a lot of files sitting on your hard drive you no longer need. Temp files and browser cache ads up in a hurry too. Here are five free or built in utilities that will help reclaim computer hard drive space. 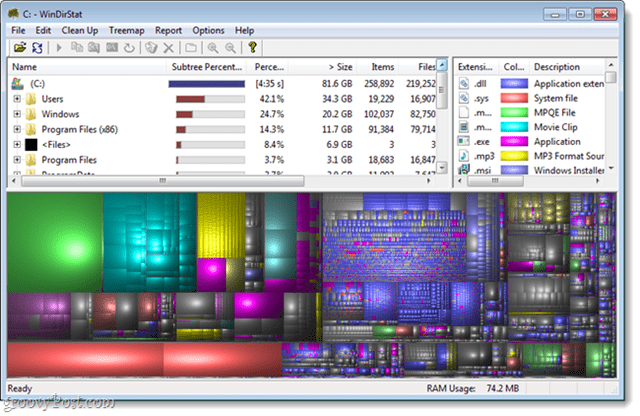 Find out which files are taking up the most hard drive space with WinDirStat. It’s a free utility that gives you a graphical view of which files types are taking up the most space on your hard drive. Typically the largest files are going to be videos and other multimedia. If you no longer need them, delete or transfer them to an external or network drive. Clean temp directories, web browser cache, the Recycle Bin, Recent Documents, DNS Cache Memory dump and a lot more with CCleaner from Piriform. 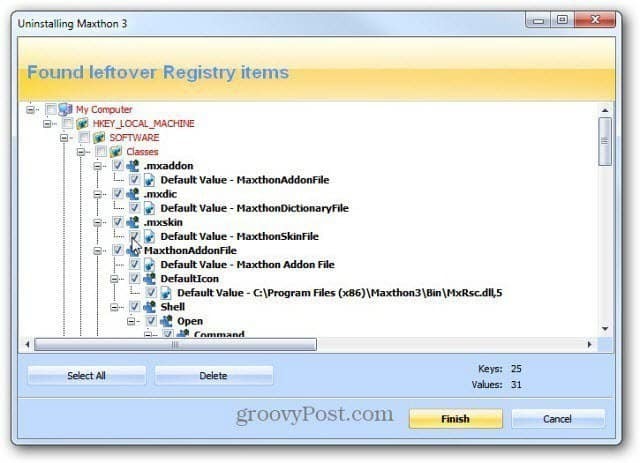 It’s completely free and a popular utility to clean and optimize your system. 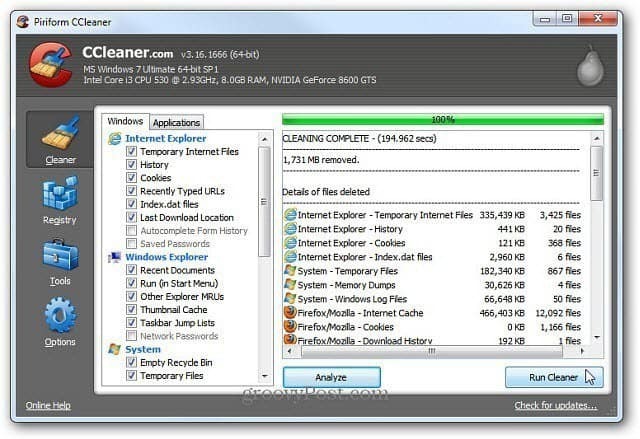 Disk Cleanup is a utility built into Windows. It lets you reclaim space on your hard drive by deleting old files and cache. 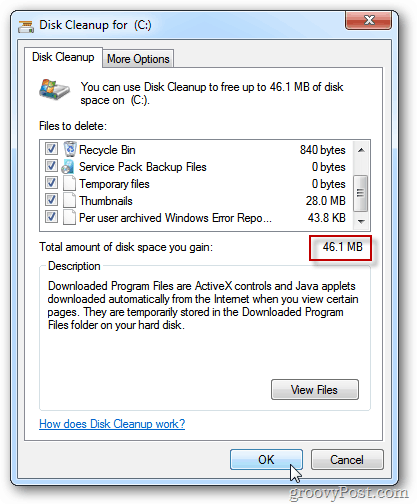 To keep your system clean of unneeded files, set Disk Cleanup to run automatically. 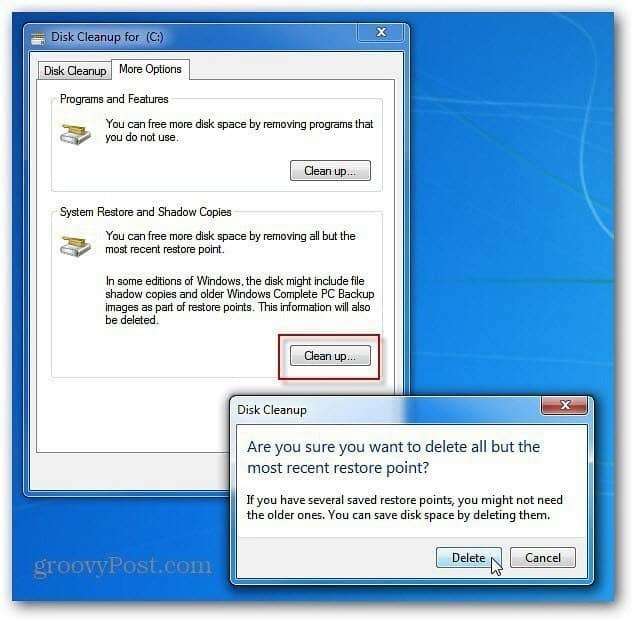 A way to gain back hard drive space that is often over looked is deleting old system Restore Points. After a year or more, they can really add up. To get Gigabytes of space back, it’s good to clear them out except the most recent one. Most of us have programs installed that we no longer use – or don’t even remember you installed. Free up more space by completely uninstalling old programs. These are just a few ways to reclaim some space on your Windows hard disk. What are some of your favorite tools or methods to get the job done?